We actually planned a small play date with some of his friends, they came home with us after school one day and they all spent the afternoon trading Pokemon cards. These kids are OBSESSED with Pokemon right now! They really aren't allowed to trade at school, so it was nice to give them some time outside of school together. 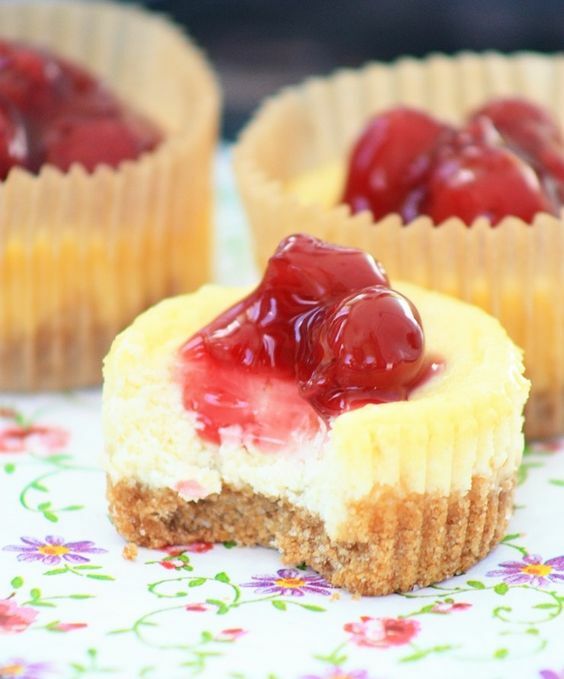 Of course we had the family over for pizza and dessert later the same night, and literally everyone raved about this mini cheesecake recipe! Feel free to leave the cherry pie filling off, I did this for the first batch and they tasted great. I honestly prefer the pie filling on though, it gives it just a little bit extra to the cheesecakes.